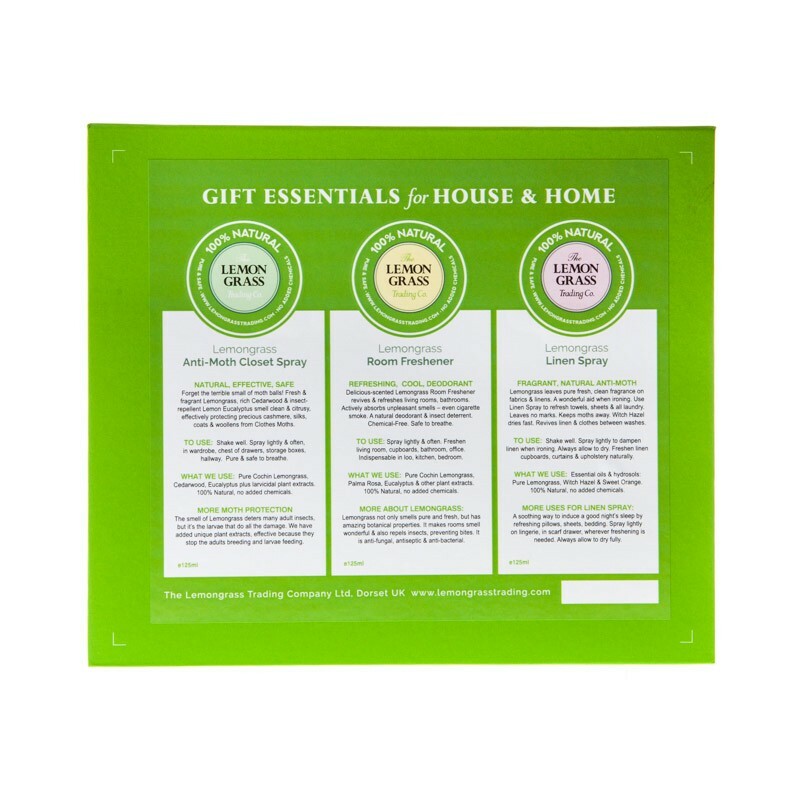 4 different boxes each containing 3 indispensable Lemongrass sprays, make essential gifts for friends and family. What’s more, ORDER NOW and we’ll post your Gift Boxes for free, direct to any address in the UK. We’ll also enclose a Gift Card, let us take the strain! First, Lemongrass smells wonderful – fresh, citrusy, uplifting. 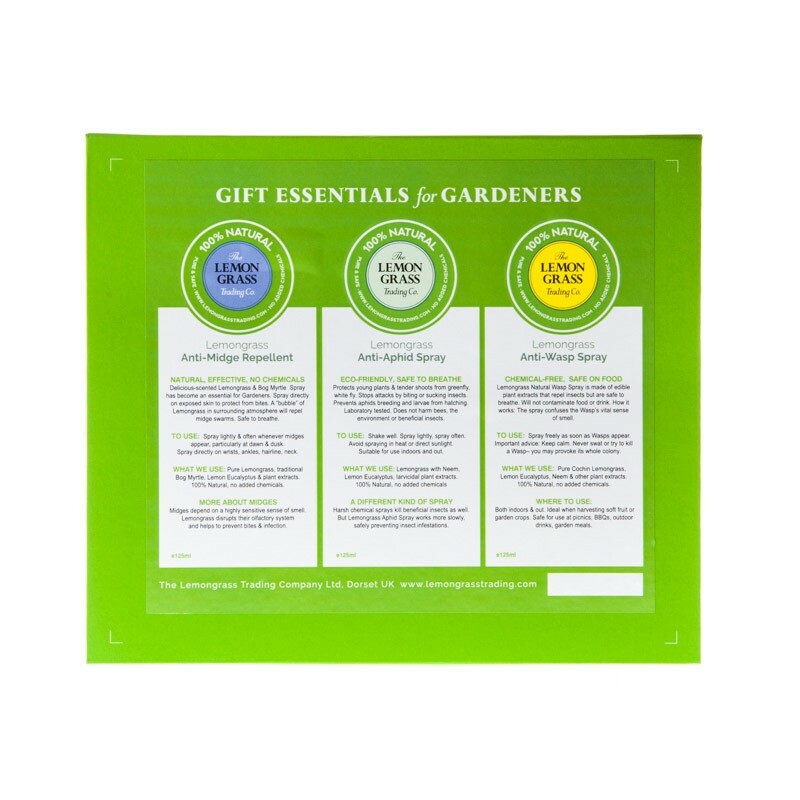 Ideal for original, safe and deliciously fragrant gifts. The Lemongrass Trading Company’s aim is to make this wonderful natural essence more widely known and better used. Be safe, go green, stay chemical-free. Lemongrass not only smells pure and fresh, but has amazing botanical properties. 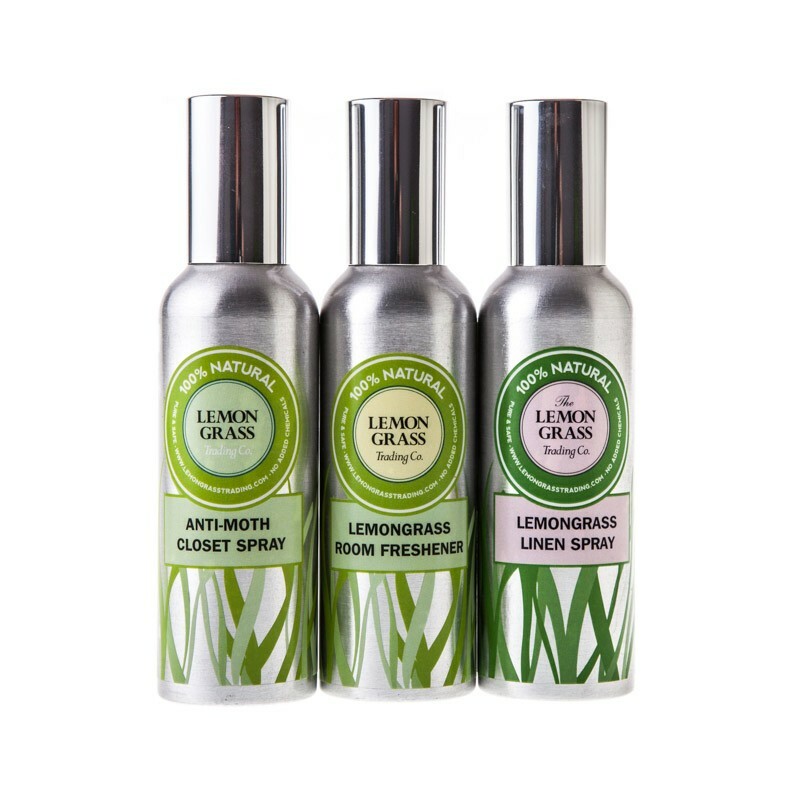 It is a natural insect deterrent – we have natural Lemongrass sprays to repel Clothes Moths, Wasps, Mosquitoes, Midges. Our sprays are effective against so many insects, indoors and out. They are laboratory tested at the University of Bristol. They are safe to breathe, and smell delicious. Lemongrass is anti-bacterial & anti-fungal, perfect for taking the whiff out of smelly feet. Refresh your trainers, sweaty shoes, yoga and sports kit with TrainerFresh, YogaFresh. We hope to fill your life with fresh, delicious fragrance that allows you to breathe safely while keeping away those insects. Be uplifted by the refreshing fragrance. Try one of these versatile and healing Lemongrass products. Make natural Lemongrass the go-to solution for a safe, refreshing and insect-free life. 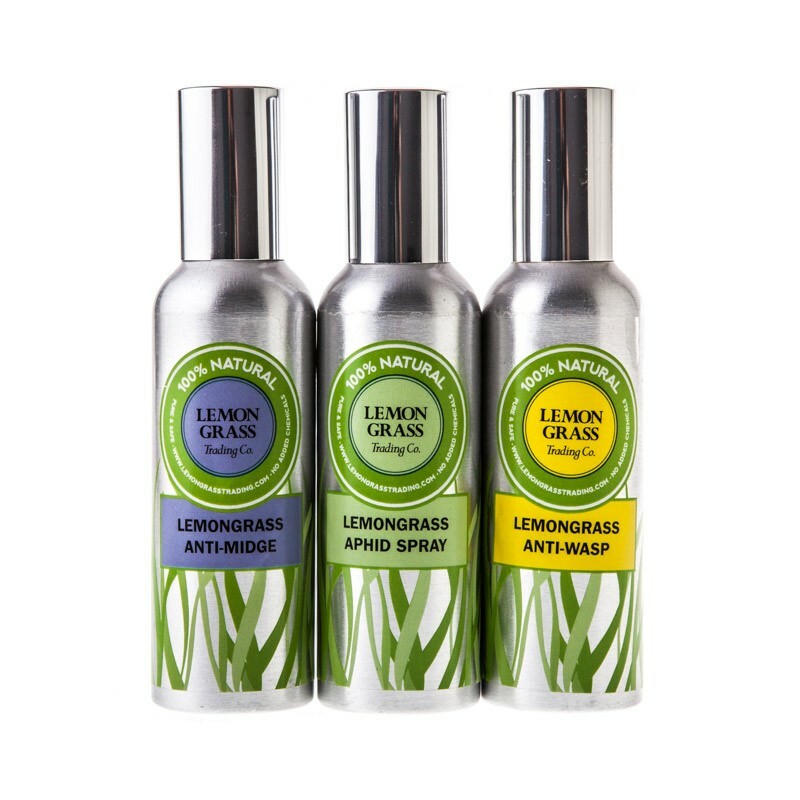 We mix all our natural Lemongrass products ourselves, using pure plant extracts with no added chemicals or synthetics. That’s why our sprays smell so wonderfully fresh, and are absolutely safe to breathe. Free postage and packaging within the U.K. If you live outside of the U.K. Please Contact Us for a delivery quote.